Have you used a business and want to share your experience with everyone? Well! 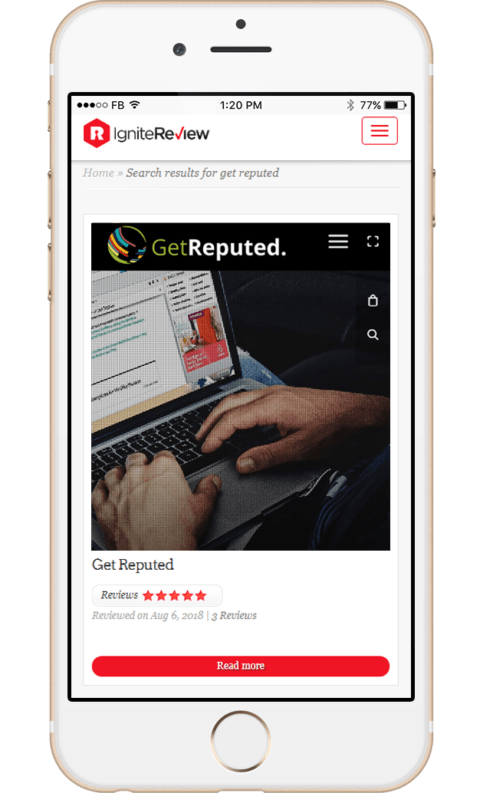 Ignite Review enables you to post an honest review your experience to share it with everyone. Because Every Review has a Personal Story. We know that behind every review there is an experience that you must share with others to help customers and businesses. Ignite Review provides a platform where businesses can collect reviews from their customers whereas customers can share their experience with new customers and help them decide. You are new to Ignite Review? You can search for a specific company by using the smart search bar feature. You can search in a particular region or a specific category. You can create a free business account with basic company profile features. You can also choose a unique username to login along with free and smart dashboard to manage your reviews as well as the company’s information. We are empowering customers by letting them create their customer account and post reviews to as many businesses website as they want. We never charge you for posting a review and never remove your reviews. If you are a new customer, you can always visit our website and search the business you want to review. We have integrated a smart and user-friendly search bar to ease your search on the website. Experience remarkable review features on Ignite Review. We allow you to get a custom URL for your company, which adds value to your company’s website online search results. If you need, our expert can provide you with professional consultancy for creating the company profile. Having trouble signing up or logging in? Our customer support reps are available round the clock at your service. 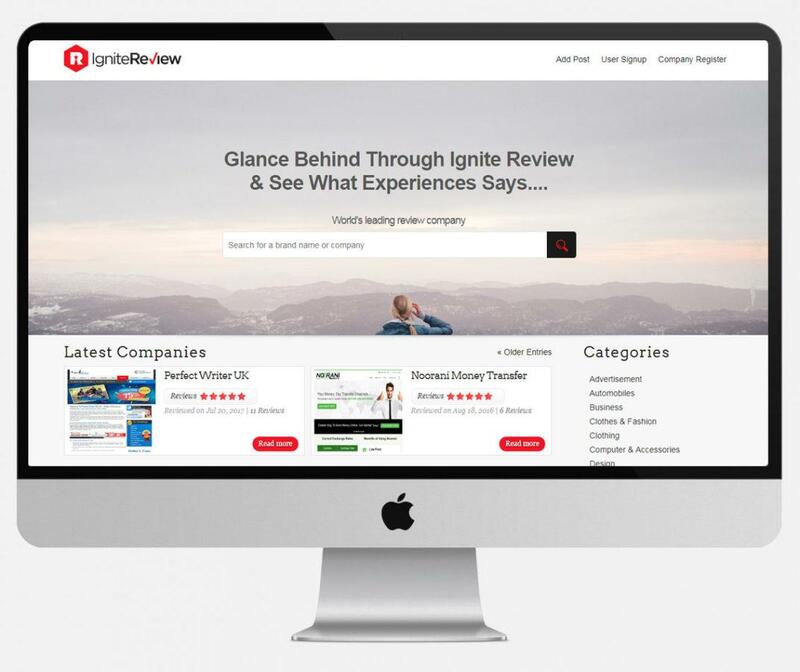 We are committed to never charge you for creating a robust company profile on Ignite Review. You can create as many profiles as you want. You can integrate Ignite Review website star badge into your website to let your customers read and view reviews for your business. Business account provides you analytics insight of reviews to determine how many stars you are given and how it affects customers’ views. To maintain the trust of customers on reviews, we scan every review to meet the quality standard and fake review are flagged. 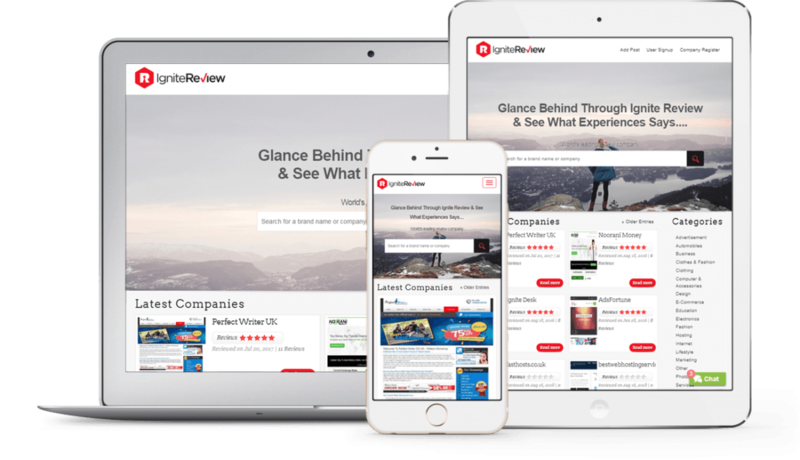 Now send unlimited free review invitations to your existing customers and ask them review or rate your product or service. Ignite Review can now be accessed and used Android as well as on iPhone. Whether you are a review or company, you can use Ignite Review on various devices including desktop as well as iPad. The website design to meet the needs of all types of devices and users.